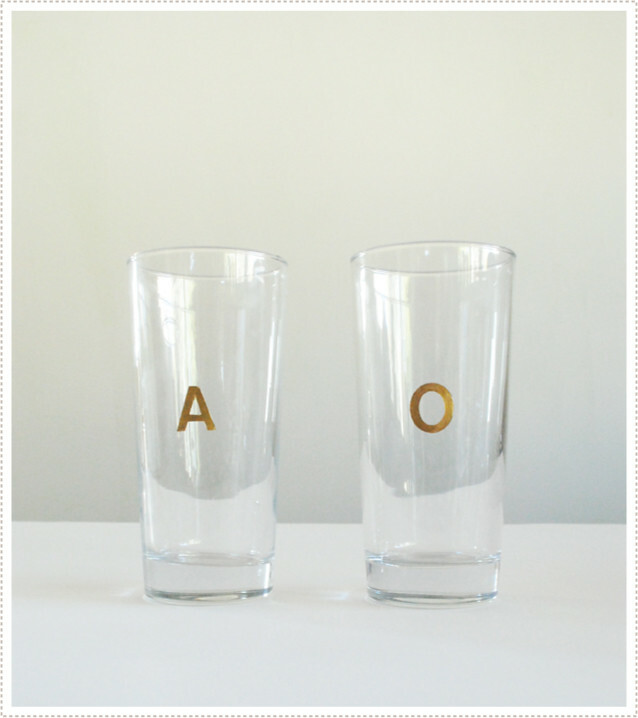 Forgo the name plates this year and spice up your holiday parties with these simple DIY gilded monogram glasses for your family and friends. Best part, it's so easy you'll have them all done in one afternoon! 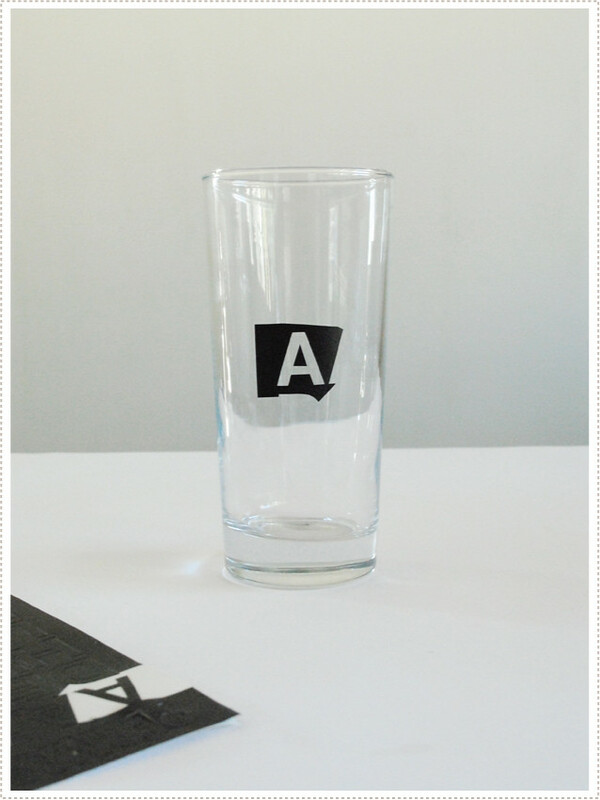 I had a few stacks of vinyl letters on hand which proved perfect for sticking onto glass. I cut out the reverse portion of the vinyl letter in order to use it as a stencil. I then used a paintbrush and PermEnamal in 14K gold (Follow manufactures instructions) to fill in the stencil. I had to apply a couple of coats (letting the first coat dry a bit before reapplying) in order to get full coverage. I then let it dry for quite some time before removing they vinyl stencil (again refer to manufactures instructions for drying times as well as how long to wait before washing, etc.). I was pleased with both the simplicity of the finished look and craft project itself. And by using IKEA's godis glasses, the project was easy on the pocket book. And there are few things I love more than an elevated look - for less. Put these out for Thanksgiving, or any other upcoming holiday get together, and have the guests take them home as favors. Or just make a set for your family. Your kids will love getting their own glass out - which will help make setting the table a breeze. 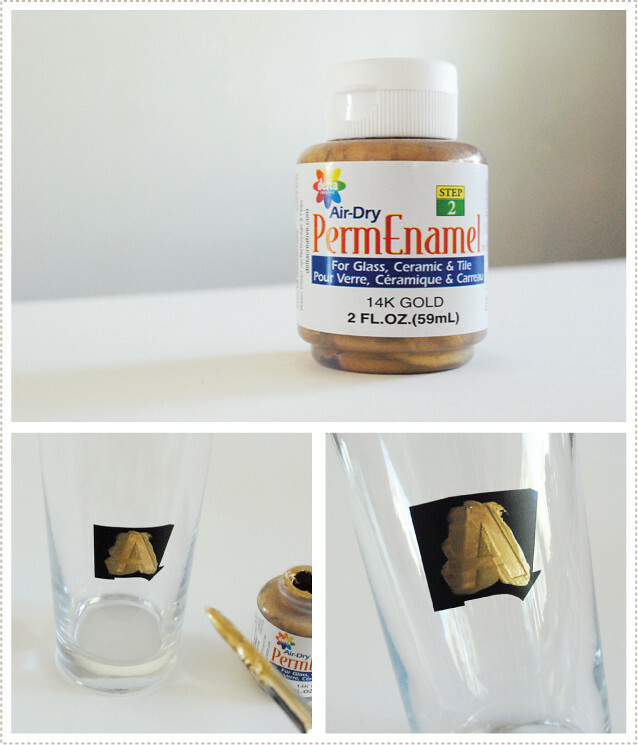 Today I was also decorating glass with gold:) your letters are lovely! What a great simple idea. Will be doing this for sure. Thanks for this great idea! 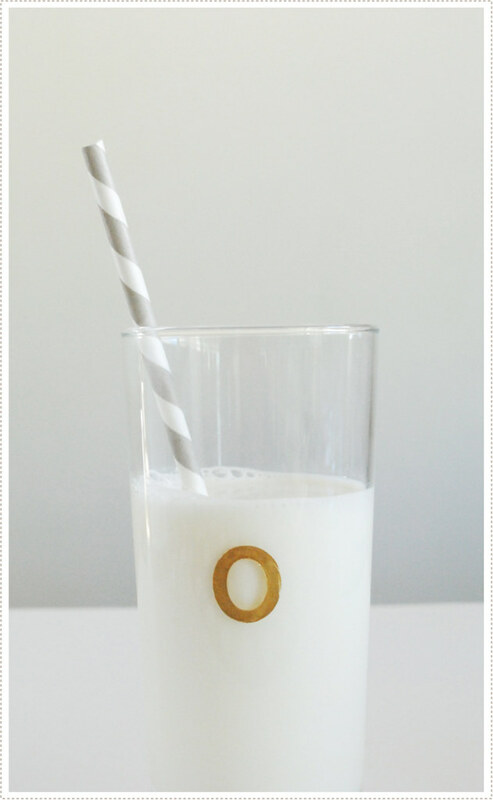 I'm going try gold monograms on black mugs for a girl's night hot cocoa bar party. If you follow the manufacturers directions on the bottle it should let you know the steps you need to take for them to be washable/dish washer safe.